New Delhi: The first Dalit (lower caste) woman to become a novelist, the titles of Palanimuthu Sivakami’s books reveal her life and times. After her first book The Grip of Change, the recently released The Taming of Women, is all set to create waves. An Indian Administrative Service (IAS) officer, her journey from Tamil Nadu took her to Tokyo to serve as regional director of the Indian Tourist Office. Sivakami travelled to foreign countries on government missions and brought back varied experiences that could be moulded the Indian way. The Indian posting gave her the opportunity to meet women and Dalits, which led to social issues becoming Sivakami’s primary concern and avocation. Without making any tall claims, the firebrand leader made a space for herself and began contributing towards fulfilling her social goals. Passionate about social irregularities and injustices, she motivated parents living in small towns and villages to provide education to their children. Sivakami made a short film Ooodaha (Through) based on a story written by one of her friends. Set in 1995, it was selected by the National Panorama and won the President Award the same year. 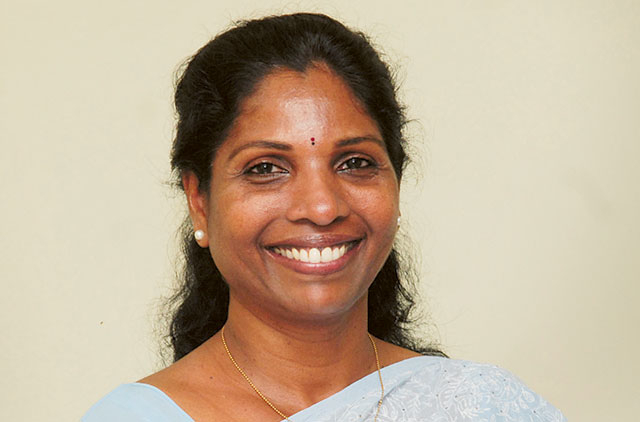 She quit the administrative service after 29 years in 2008 and joined politics a year later, contesting the Lok Sabha polls from Kanyakumari representing the Bahujan Samaj Party (BSP). She speaks to Gulf News in an exclusive interview. GULF NEWS: How factual was your first book The Grip of Change that created a stir by taking on patriarchy in the Dalit movement? SIVAKAMI: At times, The Grip of Change appears too real to be called a fiction. But then it is merely a perspective of realities perceived by (the protagonist) a 17-year-old girl. The unedited Dalit patriarchy, as portrayed in my novel, created a furore to the extent that the male world refused to recognise it as a Dalit novel. But to their surprise and discomfort, the book has been doing the rounds in the same tag. What made you send one of your works anonymously to see it published? It was my first novel Pazhayana Kazhithalum, original Tamil version of The Grip of Change, published in 1986. That was because I feared the publishers would market the IAS following my name rather than my work. Born in a Dalit family, over the years, do you see any change vis-à-vis attitude of the society towards the community? I do see changes, but they are slow and miniscule and not to anyone’s satisfaction. Discrimination changes its colour according to modern times. Could you cite some recent examples regarding discrimination against the Dalits? For instance, due budget share is not allocated to the Dalits and whatever is assigned, is not fully spent. But the state governments are not bothered about monitoring such irregularities. Often, cases of atrocities against Dalits are not registered and few accused are punished. Another phenomenon appeared recently. The media grew suspicious when a batch of 20 people from Tamil Nadu got through the Public Services examinations from Ambedkar Colony in Arur Dharmapuri district. People recommended a probe to find out whether the question paper had been leaked! In contrast, a couple of years ago, when more than 30 persons had passed the same examination from Ayakudi, near Palani, the village was honoured for its achievement. At a time when people did not believe in educating girls, how did you manage to study and become an IAS officer? My father was elected to the legislative assembly of Tamil Nadu in the first general elections in 1952. He was keen to educate his children. Moreover, I was the topper of my school in academics. I sustained the interest till I got through the civil services examination and even thereafter. Did you find any kind of disparity while at work? Yes, quite a lot. That is the subject matter of my next novel in Tamil and it will be published shortly. Though a fiction, it is based on my experiences. What was the reason for quitting the administrative service and joining politics in 2008? If I mention that I quit because of the caste discrimination at the higher level, people would argue that not everyone facing discrimination quits the IAS. Hence, I would say that I quit of my own sweet will that was thrust upon me! Additionally, I had prepared myself for this exit at least for a decade. Other factors apart, I was guided by a strong desire to work for the poor and the disadvantaged. Contesting on the BSP ticket, what made you leave Mayawati’s party having a Dalit entity? Mayawati’s party was non-existent in Tamil Nadu. And as a follower of Dr Ambedkar and BSP’s founder Kanshiram, I cherished a dream of strengthening the party in Tamil Nadu. But later I found that there was no such agenda for Tamil Nadu by the BSP. A news report on you said —‘To be a Dalit is one thing to be a feminist is another. In your case, you are a Dalit-feminist and everyone wants to disown you.’ Could you clarify this point? I do not subscribe to the theory of disownment. It is a kind of an acknowledgement to someone who is daring and different. I have worked in my own way for people’s rights. When I started the Dalit Land Right Movement in 2004, many thought it was a worthless attempt. For sometime it remained a lone battle, but after a few years others began talking about it. Later, in 2008, with the massive support of women I organised a huge public conference on Women and Politics, which was attended by nearly 250,000 women. Subsequently, in 2009, the political party Samuga Samatuva Padai was launched. So, the question of being disowned does not arise.